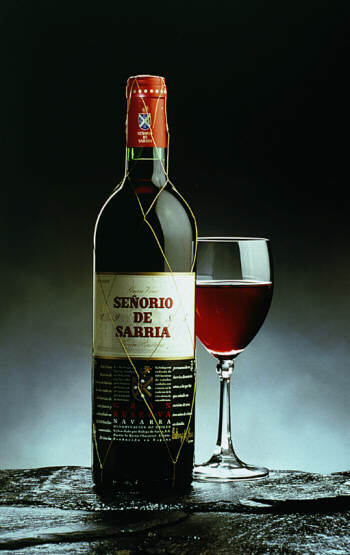 Navarra export catalogue - Bodega de Sarría, S.A. 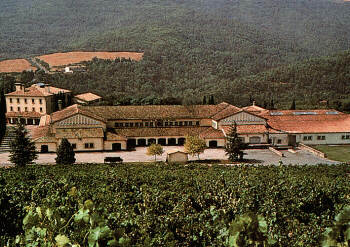 The Bodega de Sarría is set within the estate of the Señorío de Sarría (Manor of the Sarría Family) on the outskirts of the town of Puente la Reina, a town to the South-west of Navarra´s capital Pamplona. Around the Bodega stretch 170 hectares (425 acres)of vinyards growing Tempranillo, Mazuelo, Garnacha, Graciano, Viura, Malvasía, Chardonnay, Cabernet Sauvignon and Merlot. All our red wines are aged in oak barrels, bottled and placed in our ageing bins where the wines mature quitely until they are ready to be released for sale in Spanish and foreigner markets.